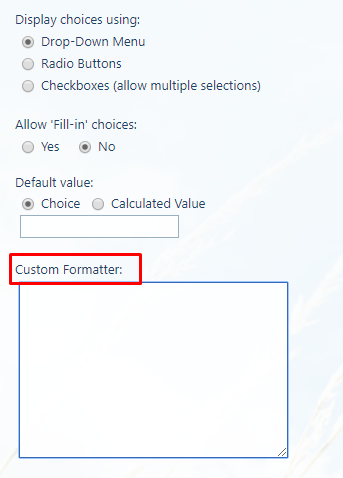 Or you can also reach to Custom Formatter text-box by clicking edit column under list setting. I noticed that for currency data type column ‘Format this column’ was not available so I had to use edit column option. 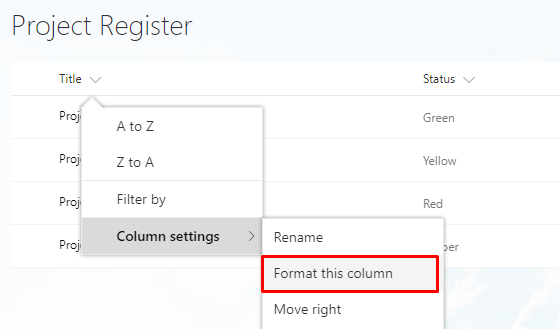 When you click ‘format this column’. 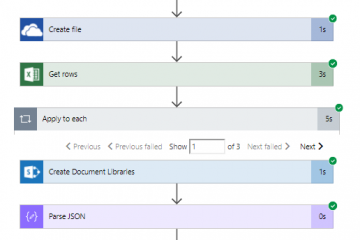 A right hand panel will open where users can enter JSON reference to format the column. There are some good example provided to help users create their own formatting. It is certainly not designed for the end-users but rather power-users / developers. Here are the screenshots for my project lists. The JSON files are available on my GitHub repository feel free to use / improve. Project Register where ‘Current Status’ column is formatted based on the RYAG status. 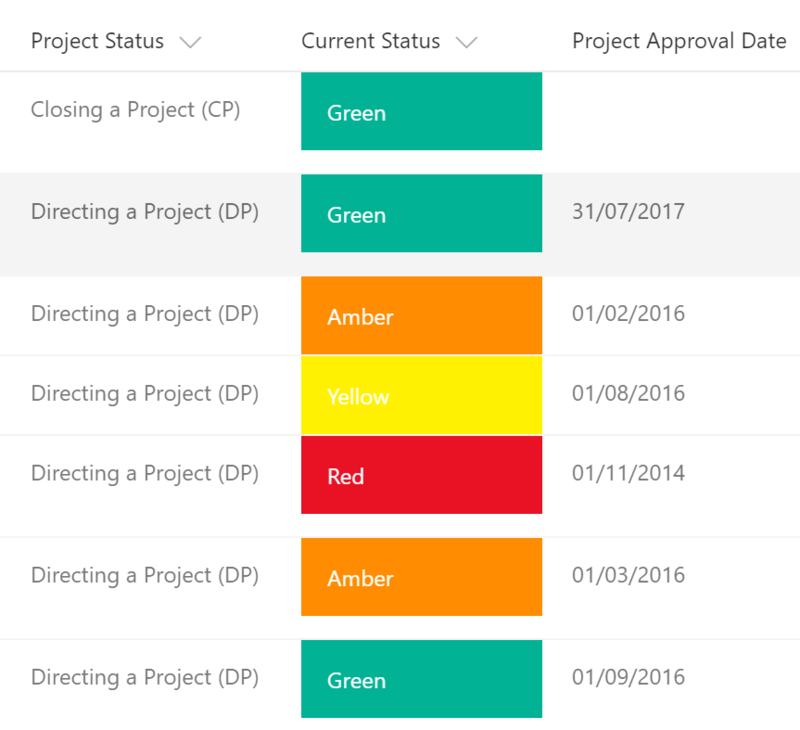 Risk register where there are two columns formatted i) ‘Risk Score’ (a calculated column) is formatted based on the condition and ii) ‘Risk Status Level’ (Internal field name is ‘Change’) is formatted with icons / colors. 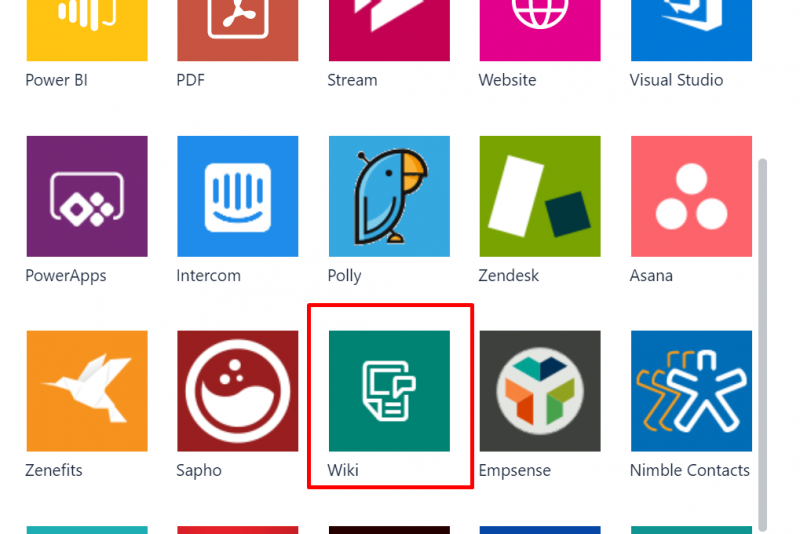 You can use other icon from Office Graph . I hope to explore and learn more options in the coming weeks. Meanwhile, happy SharePointing! Nice. If you come up with anything you think might be of general use (samples, tips, tricks), be sure to contribute it to the repo at https://github.com/SharePoint/sp-dev-column-formatting. Thanks Marc! I would love to contribute. JSON files are available here: https://github.com/sohailmerchant/spo-columnformatting. I suppose I need to find a way to upload my these files to this existing repo. Does this work in classic view? I have used some JSON formatting in a List and it works great, but then when adding the list view web part to a modern page, the formatting doesn’t work. Is there a way for the list view web par to adopt the list formatting? Hi Rob, This feature is not yet supported, but I understand that Microsoft is working on this. So disappointing, I work so hard on my JSON format and nobody can see it as a WebPart. Sharepoint can be so frustrating…. I am using CSR for classic and also added JSON so in case user get to ‘modern experience’ they have similar experience. I would suggest you don’t use JSON for this, there is no need. if you want to adjust the width of a column then do so then go to the same place you create a view, then save all items as all items this will save your column width, at least for the all items view. I hope that you would have got this sorted by now though. Is it giving any error or doesn’t work? I think you will need to convert date into string. When using the above example for column width I get the following error, Please enter valid column-formatting JSON. This means that you don’t the correct JSON. You can validate JSON to ensure that you are not missing any brackets. Happy to review the code if you can share. If i may share there is a great tool to try column formatting, done in React ! Yes, I am aware of the tool @thechriskent has developed. Really useful. Please could you share exact code. You will need operator = and empty string could be check with “”. 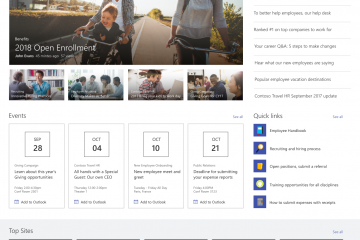 Where is my Microsoft Teams Wiki data is store?